Filled with top worship leaders, I am N is a declaration of solidarity and faith with persecuted Christians the world over. I am N is a collection of top artists and songs that proclaim hope, unity and a commitment to stand with our brothers and sisters who, in the face of death, chose faith in the One who gives true life. 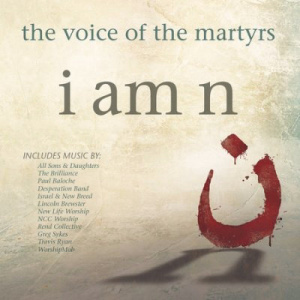 In partnership with Voice of the Martyrs, and as a follow up to the highly successful "Jesus Freak" release, "I am N" is a high profile ministry campaign that includes a CD, book and will be supported by live youth events. I Am N CD by Various was published by Integrity in February 2016 and is our 3874th best seller. The ISBN for I Am N CD is 0000768658123. Be the first to review I Am N CD! Got a question? No problem! Just click here to ask us about I Am N CD. Now Playing: There is Power Your browser does not support the audio element.